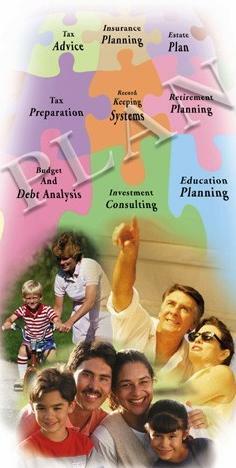 We serve middle income individuals who have financial, tax, investment, insurance or estate planning needs. Also, those who wish to get a "second opinion", to verify they are planning prudently for his or her financial future. Furthermore, those who desire a higher, more sophisticated level of financial planning services may find our program appealing and insightful. Individuals: Who are serious about getting their arms around their finances, or anyone who wants to plan carefully for his or her financial future. There is no minimum or maximum dollar amount that one must have to benefit from our services. We recognize that those with little or no assets can benefit from financial planning too! Small Business Owners: Who desire business continuation planning, or are interested in tax advantaged small business retirement plans. 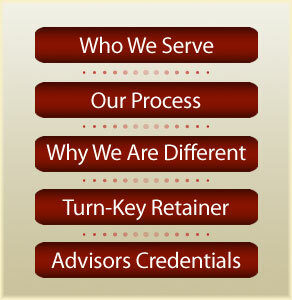 Those in need of Survivor Support: Many of our clients are people who have recently experienced a job change, retirement, death of a loved one, divorce, sale of a business, inheritance or lottery winnings and found themselves at a "financial crossroads" where flat fee financial planning services are needed.